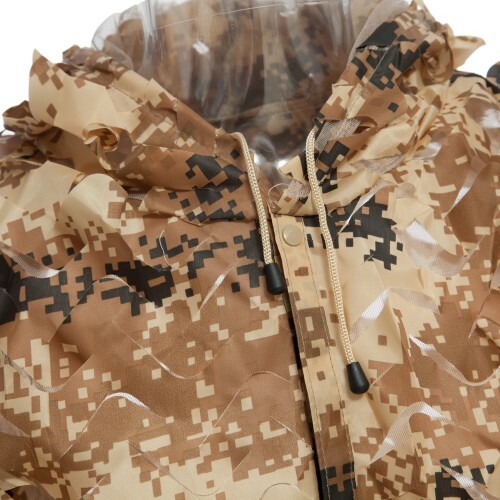 Made from tough and durable Oxford camouflage. 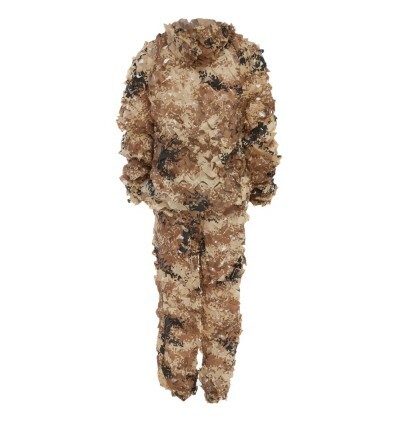 The ultimate in bionic leaves camouflage clothing. 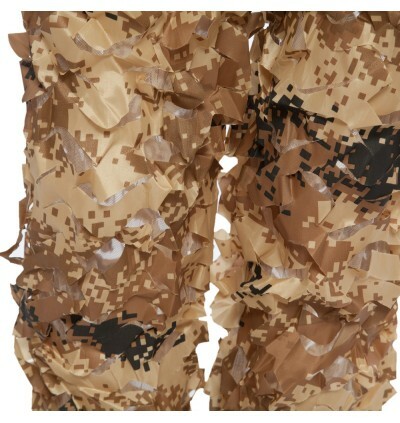 - Elastic waist on trousers for easy size adjustment. - Poppers on jacket make it very easy to get on and off. 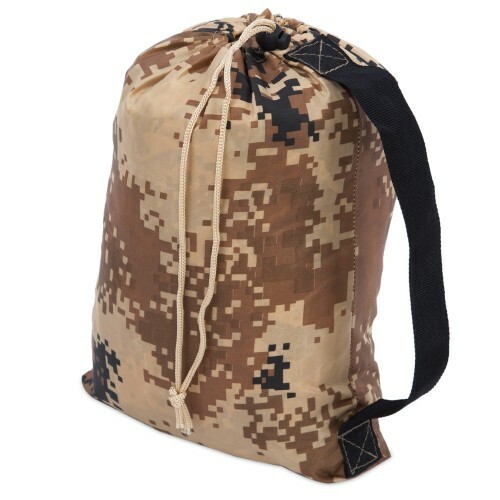 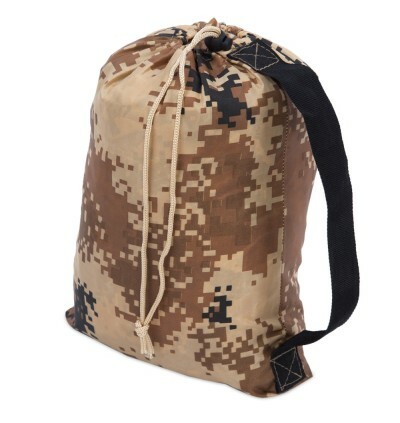 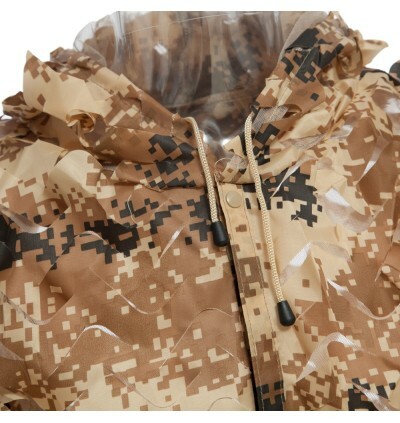 - Made from tough and durable Oxford camouflage. 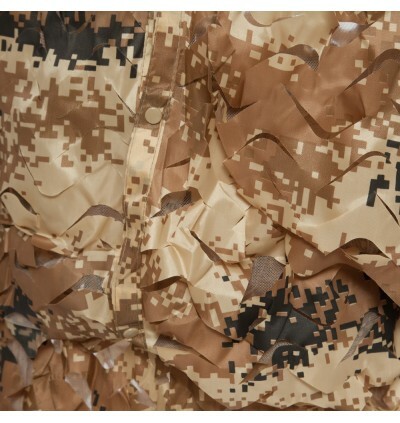 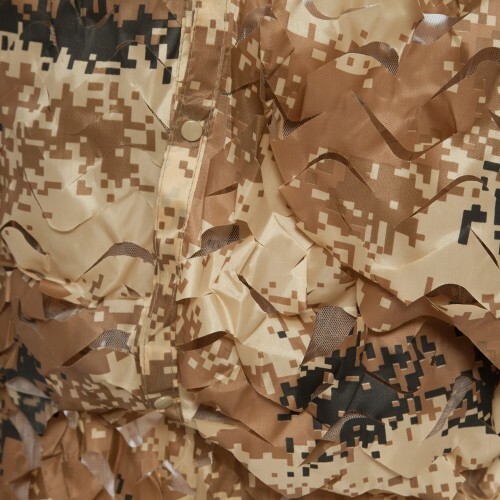 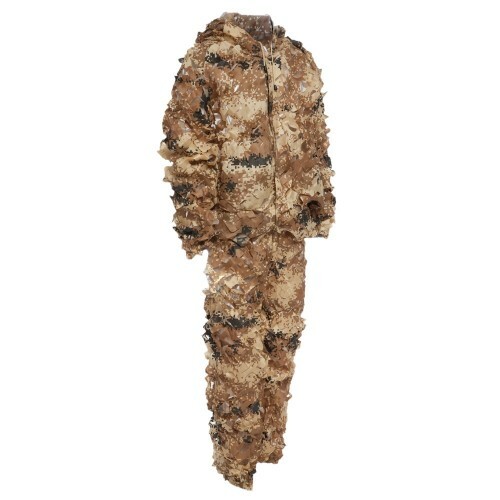 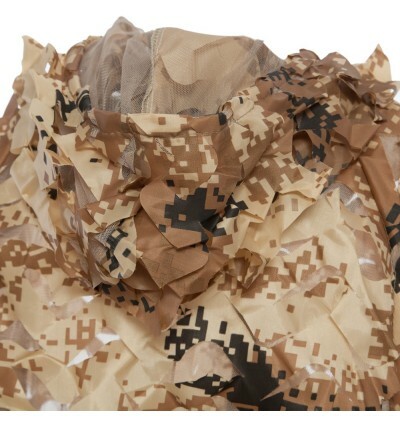 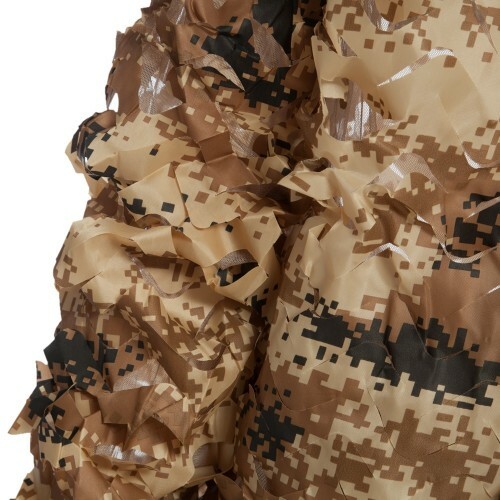 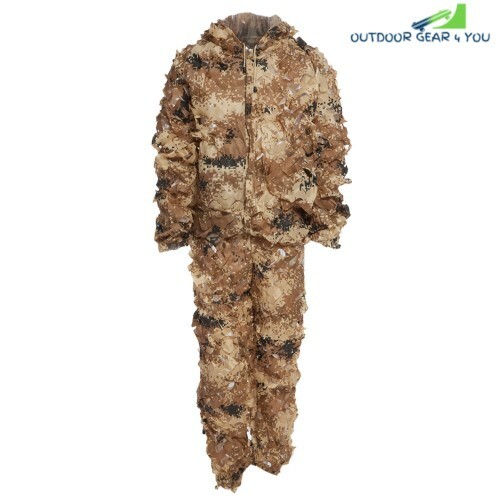 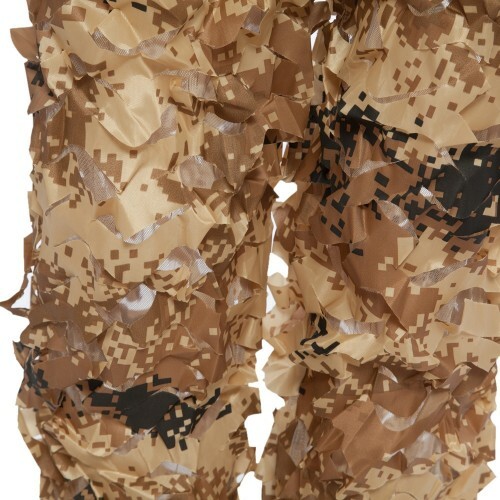 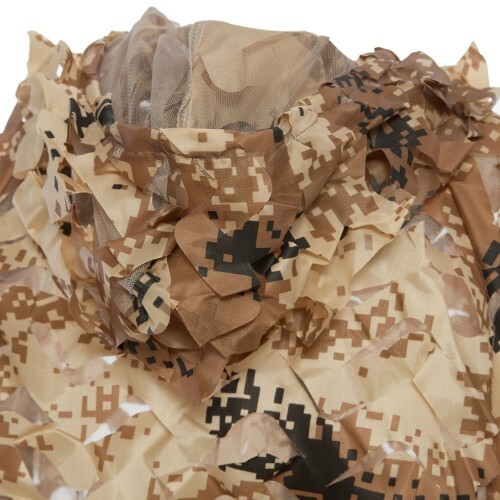 - The ultimate in bionic leaves camouflage clothing. 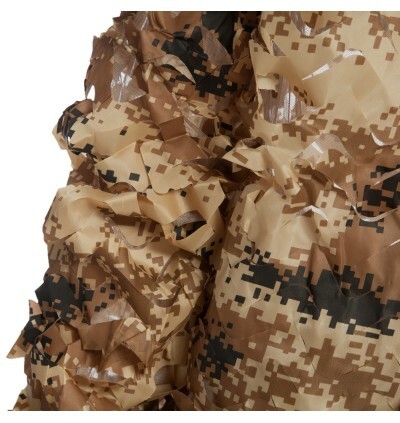 - Hand washable, light weight, used for war game and snipers disguise. - Size: Clothes length: 0.85m, sleeve length: 0.90m, bust: 1.40m, hipline: 1.30m.